At the station Alex PA1AW had a close lo0ok whether he could repair the 6m yagi so we could as 6m to the operating bands. 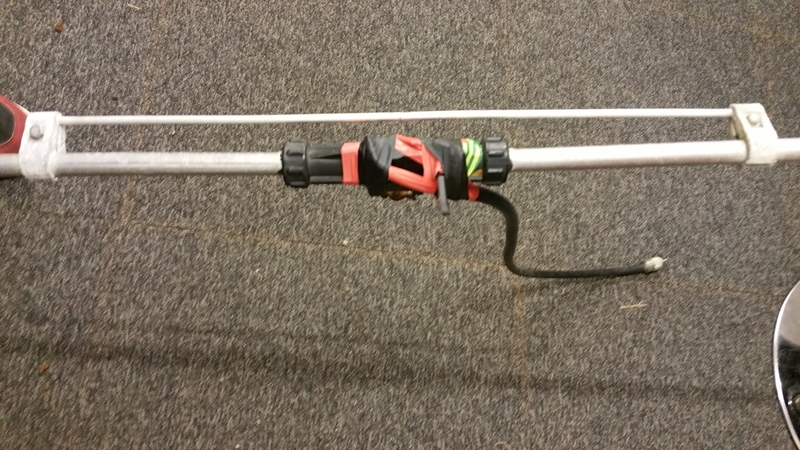 It was not easy but thanks to a heavry soldering iron a new cable was connected to the antenna and after a few hours the first CQ could go out on a closed band. Day 1 on 6 meters brought 7 qso’s with 3 F-station just on the mainland. A good start I hope. The other operaters started of on the bands and they were in reasonable shape today. Despite the weekend was over the runs were still there and made Q’s made it in the log. At the end of day approx. 8000 Qso’s are in the log. More details will follow. This day we had 24 hour service to you all. 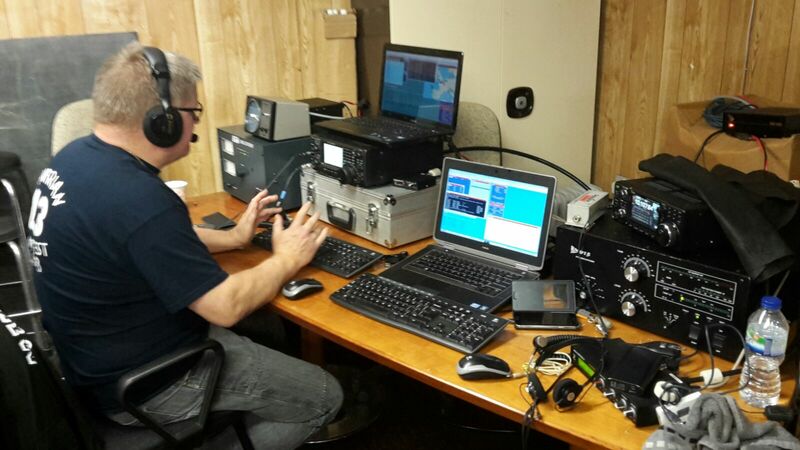 Ronald PA3EWP and Alex PA1AW stayed at the station and operated overnight on the low bands and 144 mhz in the contest. The latter was disappointing but the fun on especially 60 and 160 meters was great and made it worth the missed sleep. Ronald activated mainly 60m on CW, SSB and JT65 giving many of you a new band slot. Alex spent time on 160m and all requests received before the expedition were made. Very nice bandconditions to South America on both 160 and 80 meters. Also Alex was active in both CW and SSB. The team met each other over “breakfast”in the hotel where Jo and Roberto took off to the station and Ronald and Alex went for a few hours sleep. In the afternoon the team completed at the station and had lunch and took time to wrap up the situation. It was decided that we would put up the 40m vertical to complete the station. Unfortunately the planned 40m 4 sq was no option because of available space 🙁 After this was completed (an hour work) the official pictures were taken in teamware and it was back to the radio’s. The QSO nummber increased a lot today despite the work and bad propagation on the higher bands. Alex also spent a lot of time operation 2m Meteorscatter providing many station with a new DXCC on 2m band. Today was Murphy in the House…..
Where we had hoped to start working the pile-ups we continued working on the station. Last night vthe OptiBeam was officially declared “not working”. When we returned to the station it appeared that the overnight rainfall had also taken the Force12 as his cassualty as this yagi was also not working. A small field trip to the 2nd tower brought a damaged isolation of one of the feedlines and when observed closer the water was freely runnin in and out and the connector appeared also to be a loose connector. Jo PA9JO and Ronald PA3EWP fixed the connector and isolation and shortly after the C3 was available again. The new connector also took out a lot of QRM between different bands, so a really BIG improvement. In the afternnon Phil GJ4BCQ made us a surprise visit and he went onto the roof to identify the reason why the OptiBeam was no good. He succeeded in indentifying the course. As usual it was something very unexpected but replacing a cable between the feeder and the antenna solved the problem. Despite some interference issue between different bands we now could start working the pile ups and with success. We also had to repair the VHF amplifier in order to have the station ready for the VHF contest. We more or less found the problem and with handling the amplifier very carefull we could start the contest on 2m. 17 QSO’s in day 1 tells more or less the story. 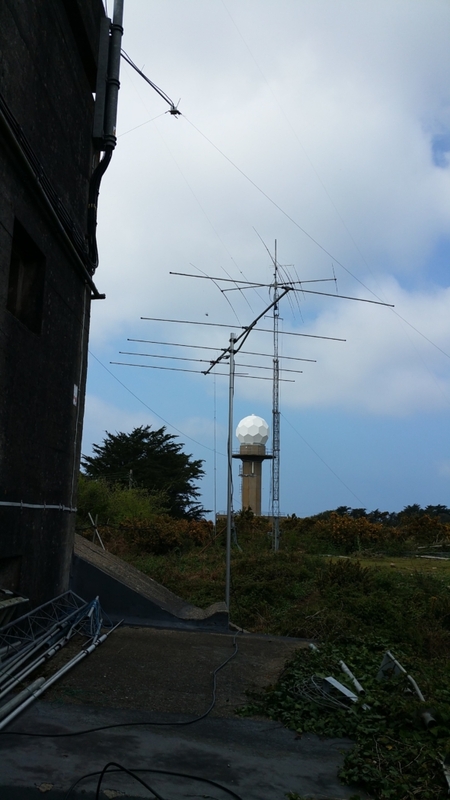 No propagation and no-one heads their beam to Jersey in the contest. So mostly F’s made it in the log and best DX just over 400 km. We know it is not the station as we worked an OK by meteor scatter in just 2 minutes, just before the contest. Ronald PA3EWP and Alex PA1AW made it a long day and stayed at the station to work low bands and especially 60 meters as the demand is very big on 60m. This was clearly appreciated by the positive DX-cluster comments. We were able to give out a lot of new bandpoints today. Phil came to a resque. Phil GJ4CBQ came in to repair the optibeam. A wet job with the rain we had today. Ronald fell asleep in the early morning whilst operating 60m. 1.5 hour trip with the ferry, again time for a little nap. Short stop at the hotel and up to the station.